In lieu of the normal annual church assessments, the Cabinet is inviting churches of the IGRC to participate in an online assessment as the first step in assessing where churches are in its life cycle. 2. 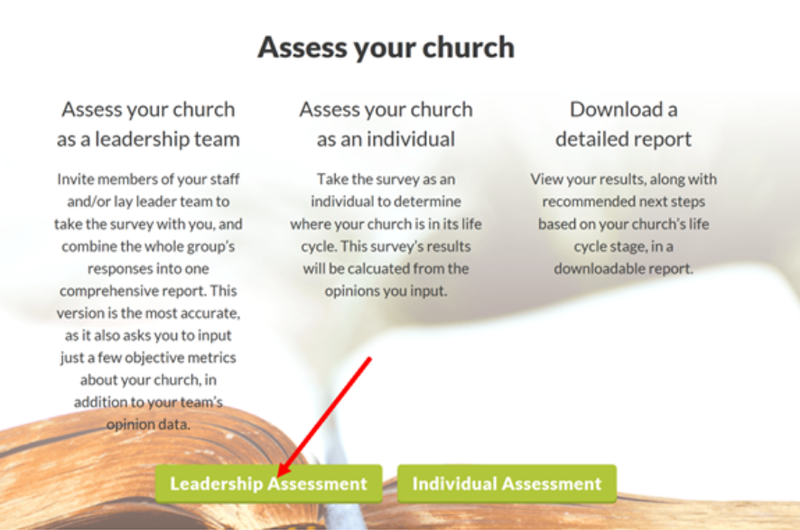 The SPRC would then have all committee members (and possibly other church leaders) take an online assessment. Click on the link below and scroll down toward the bottom of the page and utilize the Leadership Assessment. All are a part of the year-end reports. Data for 2017 and before can be found at https://www.igrc.org/churchsnapshotnew. After the first person completes the survey, a link will be generated which they can forward to others who will take the survey for your church. A date should be established when all should have completed the survey. After that date, one person will go in and have the assessment results generated. 3. Once the committee receives the results, they are asked to email a copy of the PDF report to the District office and to the Office of Congregational Development (congdev@igrc.org) or mailing a printed copy to: P. O. Box 19207, Springfield, IL 62794-9207. Please indicate the name of the church and district in your email. 4. District offices working with Congregational Development will provide equipping events for SPRC’s and church leaders grouped by their life cycle assessment results (where the church is on the life cycle) where they would begin to develop next step actions for moving to a new place on the cycle. 5. The Cabinet and Office of Congregational Development have partnered with the Unstuck Group to provide every IGRC pastor with access to an online course which the pastor can utilize with church leaders to help the church take their next steps. This course is normally $499 per person and is being provided at no charge to the pastor/church. Email invitations were sent to the pastors on January 29, 2019. If you are a pastor serving an IGRC church and did not receive the email or cannot find it, contact Jill Stone (congdev@igrc.org) to receive your access code.